Sister Bertha M. Haywood was born to Moses and Cora Stewart on April 13, 1932 in Live Oak, Florida, where she attended Suwannee County Public Schools. During the 1960’s Sister Haywood moved to Collier County where she worked in the Collier County school system and lived the rest of her life. At an early age Sister Haywood committed her life to Christ and remained a faithful servant to the end. Sister Haywood began her Christian walk as a member of Bethel AME in Live Oak, Florida. Her spiritual journey continued as a member of Macedonia Missionary Baptist church, later at St John First Missionary Baptist church and finally as a founding member of Unity Faith Missionary Baptist Church. During her years of faithful service, she served as a choir member, in the Culinary, Sunday School and Deaconess Ministries. Sister Bertha Haywood was preceded in death by her parents, Moses and Cora Stewart; her husband, Deacon Benjamin Haywood; three sisters, Edith Houston, Williar Ann Mitchel and Alma Robinson; one brother, Burrell L. Stewart and daughter, Wanda Lawson Warren. 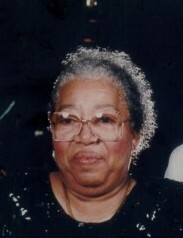 Sister Haywood leaves to cherish her memory one brother, Vernon (Roberta) Stewart, Ft Lauderdale, FL; one daughter, Sharon (Jeff) Sykes, Naples, FL; two sons, Everett (Linda) Lawson, Tampa, FL and Reginald Lawson, Naples, FL. and granddaughter whom she helped raise, Rosalind Haywood, Naples, FL. Also, her beautiful grands, great-grands, nieces and nephews. A special god-son, Dea. Telemate Jackreece. Also, a host of extended family members and friends.